What we got on Comixology… and beyond. Thanks, Sean, you beat us to our post about a whole lotta books of ours you can also order as e-books from Comixology. We make sure to have links on this site under each book’s cart button as an alternative for e-book versions. AND we also made sure from the start that they feature a free 12 page preview of each book offered! 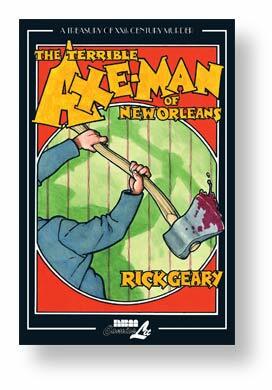 As of today you can get Rick Geary’s Axe-Man of New Orleans there but they already have a number of Geary’s Treasury of Murder books: Victorian and 20th Century, including Jack the Ripper, The Lindbergh Child and more. And since last fall we’re getting more of our books up on all platforms from the iBookstore to the Nook, Overdrive for libraries and others. We’ve been doing that through our general trade distributor IPG who gets us into all these 100+ channels of e-book distribution. 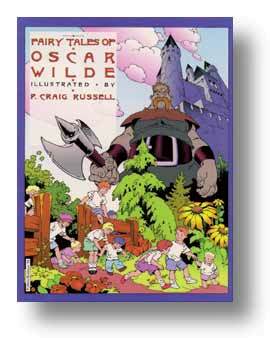 Next: watch for P. Craig Russell’s Fairy Tales of Oscar Wilde going up on Comixology and all those other non-comics channels as mentioned above within the next few weeks! Next Next post: How To Pick Those Pivotal Philosophers?